Need a laugh or a chuckle? Well, you have come to the right place. 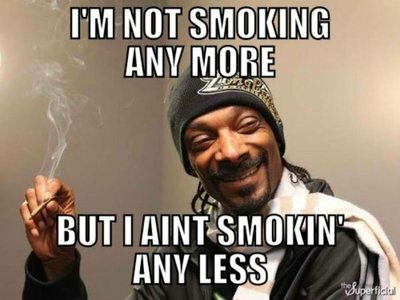 These 10 best cigarette memes are sure to give smokers and non-smokers alike a good time. 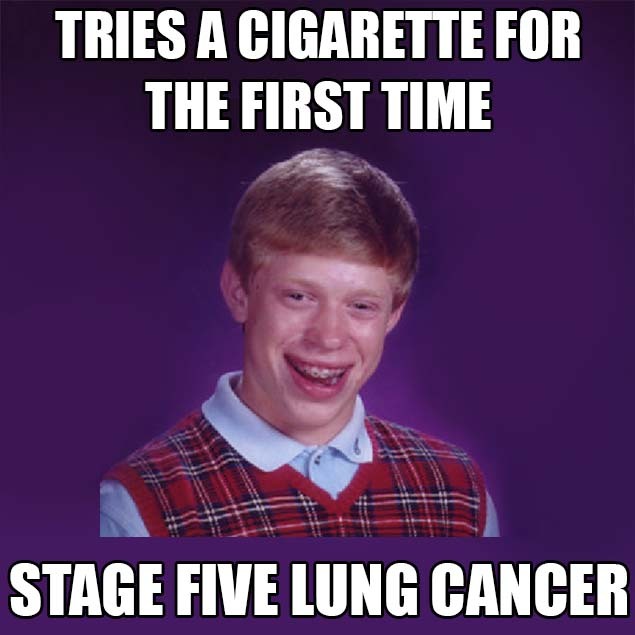 Being a smoker, you may find some of these memes ironic or relative. On the opposite side, a non-smoker looking in may just get a good laugh from seeing the irony. 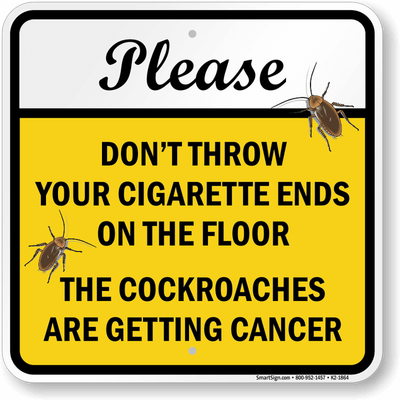 If you think we missed a great cigarette meme let us know in the comments below. 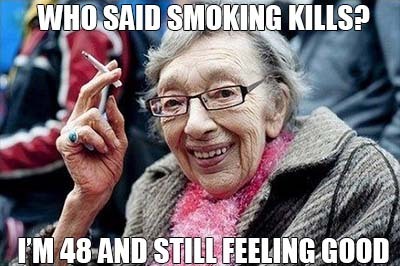 After facts like that, putting up a hand against smoking is a no-brainer. 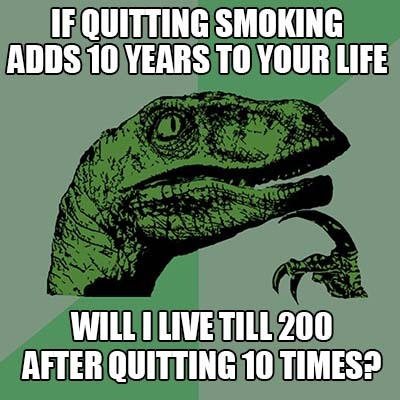 Quitting adds 10 years to your life, seems right. 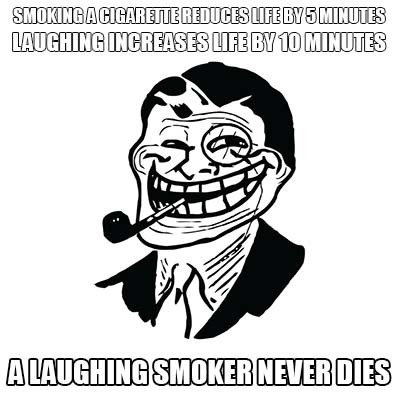 Quitting 10 times adds 200 years cannot argue with that math. 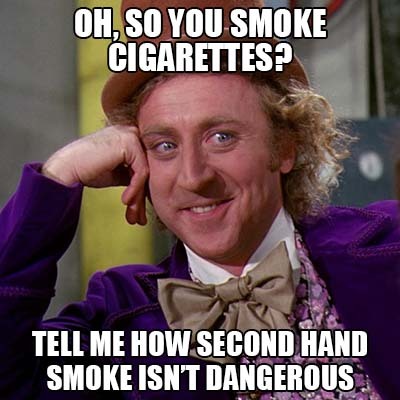 This meme is typical non-smokers thoughts when standing next to or around smokers. Especially when getting a face full of smoke. It is like muscle memory, the long embed thoughts of smoking are always the last to go. Laughing can cure a lot of things, though we are pretty sure dying is not one of them! 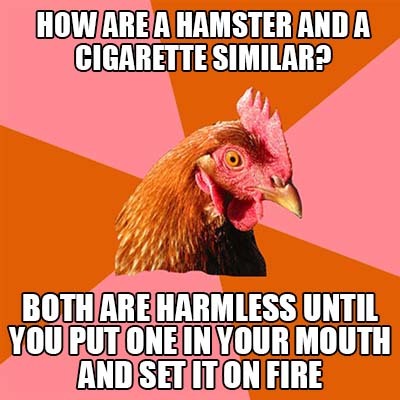 We do not recommend you try and smoke either, especially the hamster! 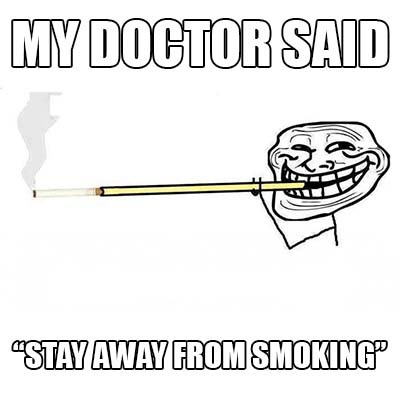 Do you think that is what the Dr. meant? Still, must give props where props are due. Like our choice in memes? Yes, No? 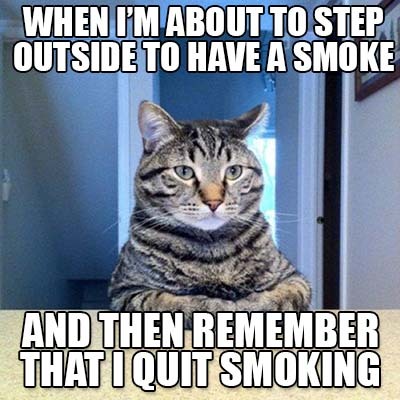 Let us know in the comments below, and if you think we missed a Cigarette/smoking meme you think should be on our list. Write to us in the comments or on Social media. I'm a bookshop seller. Unlimited access to an exceptional life inspiration leads me to photo mastering. And a year ago out of the blue photo shoot has started my vaping experience. Now I can't imagine my life without it. The aesthetics of a vaping girl is marvelous.